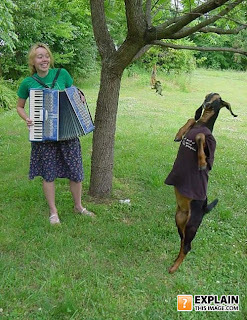 Once upon a time there was a goat that wore a t-shirt and could dance. The goat was brown like the trunk of the tree and black like a black drawing. It was a clown goat that was practising his clown act. The clown goat went to its show and it was the star of the show. The clown goat was so happy he celebrated with his mum. Toontastic cartoons created on the Ipads! Summerland 365 photo a day challenge!